Looking for a present? 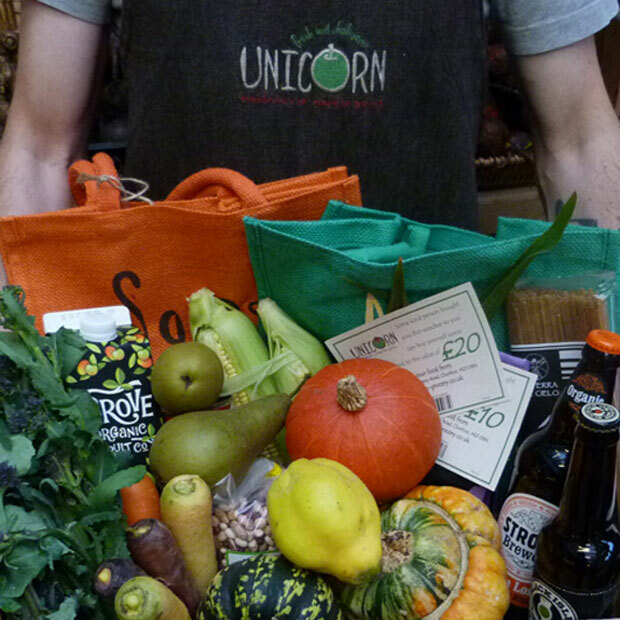 Click below for the gift of some great groceries, treats, or ready-to-eat feasts in the form of Unicorn gift vouchers. They’re available in denominations of £10 (up to a maximum of £150), and we can send them to you or direct to the lucky recipient, it’s up to you. We can even accept orders from overseas, although we can only post vouchers to UK addresses. If you’d like us to send vouchers directly to the recipient, use the field on the payment page to add a personalised note, so they know who to thank!